New 3 bedroom fourth (top) floor apartment floor duplex - Property for sale. 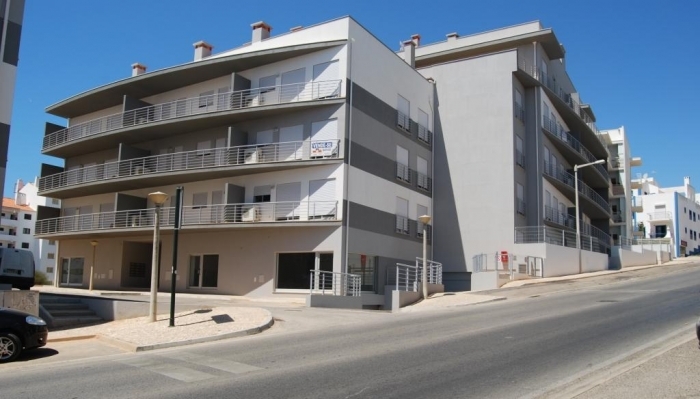 Full Description: New 3 bedroom fourth (top) floor duplex apartment in a private condominium of 40 in total in the popular Montechoro area of Albufeira. Very well placed for a great holiday or permanent living as everything you could want is within walking distance including bars, shops, restaurants, beaches, supermarkets, taxi rank & bus stop! Built to a very high standard with quality fixtures and fittings, there are several apartments available varying in size, layout and price but all are of the same high specification. Accommodation in this apartment comprises on the first level an entrance hallway with open plan dining area with doors to the terrace and on through to the very modern fully fitted and equipped kitchen with Ariston appliances, anti slam unit doors and drawers, stone work top and doors to a private terrace, lounge with double sets of patio doors which lead out to the very large terrace overlooking the pool, 2 double bedrooms with patio doors out to the same large terrace. The master bedroom benefits from fitted wardrobes and en-suite bathroom and there is also a separate shower room. Upstairs is an attic bedroom with Velux windows and fitted wardrobes and a shower room off the landing. Air conditioning is installed in all rooms, double glazed windows, electric shutters, security video entry system & cable tv connection. Outside there is a communal swimming pool with sun bathing terraces and poolside showers and w/c. This apartment also benefits from a private remote entry garage space. Considering the excellent build quality and investment potential early viewing is recommended.